Instead of confusing the public with [complication] statistics that have no relation to the ability of a [hospital] to provide enough safety to even think about a mandate, many officials don’t quote, or even know, whether [hospitals] have had an effect on the ratio of the number of deaths from [complications] as related to the number of [complications]. So why all the disinformation? Follow the money trail. The [healthcare] industry can’t control [complications], but they can control the number of [lawsuits]. This all dovetails nicely with the prejudice and propaganda against [homebirth]. Who made those statements? They were made by the folks at Bikers’ Rights Online. Well, not exactly. The people at Biker’s Rights Online were talking about motorcycle helmets and their ability to prevent death from head injury, not the ability of hospitals to prevent death from childbirth complications. Amazingly, the arguments are exactly the same. Don’t believe me? Let’s compare the major features of both arguments. 1. They cause more complications than they prevent. This claim, if it were true, would represent a powerful argument. I’m not familiar with the scientific literature on motorcycle helmets, but the claim that motorcycle helmets cause more injuries and deaths than they prevent seems nonsensical on its face. No mechanism is even suggested whereby motorcycle helmets would cause injuries. In the case of childbirth in hospitals, the claim is not nonsensical. One can imagine how a hospital might cause more injuries and death than it prevents. However, I am familiar with the literature on childbirth and hospitals, and that is very definitely not what it shows. There are masses of data, examined from every possible perspective, and all of it demonstrates the same thing. Hospitals have prevented millions of injuries and deaths related to childbirth. It is not coincidental that as the homebirth rate dropped from 95% in 1900 to less than 1% in 2000, the neonatal mortality rate dropped by 90% and the maternal mortality rate dropped by 99%. 2. No one has ever studied their safety. According to Bikers’ Rights Online, “there is little data on the effects of a helmeted body in motion from a bike crash.” That is untrue, but it sounds compelling. Homebirth advocates love to claim that “no one has ever studied the safety of hospital birth,” but that claim is every bit as fantastical. 3. It’s a conspiracy on the part of a powerful industry to make money. It’s fun to smear people and entire industries with the accusation that their claims of safety mask a corrupt desire to profit at the expense of individuals. I don’t doubt that some industries are corrupt, and that some companies profit by harming individuals. But to go from the general to the specific requires more than accusations; it requires data, precisely what is missing from this argument. Bikers Rights Online claims that helmet laws are a conspiracy of the insurance industry, a convoluted conspiracy at that. “The life insurance industry can’t control their car drivers from hitting us, but they can control the number of targets their drivers can hit by backing helmet laws that reduce riding.” In other words, according to Bikers Rights Online, helmets don’t prevent injuries and death, they just deter people from riding motorcycles and so motorcycle fatalities fall. You have to give those folks credit for creativity. Homebirth advocates aren’t content to smear only one industry. They are even more creative. It’s the doctors! It’s the lawyers! It’s the insurance companies! Evidently millions of professionals have been recruited to prevent homebirths because they are afraid of losing money by losing patients. Or is it losing money by getting sued? Or is it losing money by paying out large malpractice settlements? It doesn’t matter. Someone is profiting from hospital births and that’s why everyone lies and says hospital births are safer. Strangely enough, the fact that the homebirth industry can only profit by convincing women that homebirths are safe is simply ignored. 4. It’s a matter of personal freedom. It’s my body and I have the right to do with it what I want! The same argument can be made by a motorcyclist and a homebirth advocate. And the same retort can be given: it’s not just you; others will pay for your decision, with money or with their lives. In the case of motorcycle helmets, there is almost no one who can pay out of pocket for a traumatic brain injury. First the insurance company pays millions, raising the cost of healthcare. Then the government foots the bill for millions more, passing the costs along to taxpayers. 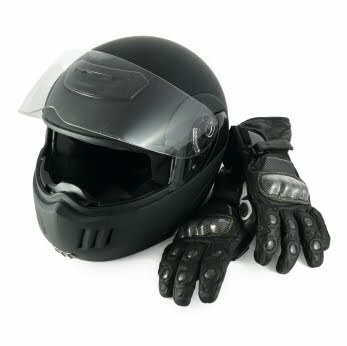 The decision to forgo a motorcycle helmet is only a personal decision so long as you intend to pay the costs of your choice. If you expect the rest of us to pay for your care, then we have a right to insist that you make safer choices. The case of homebirth is more complicated. It is a woman’s right to control her own body, and were she the only one to be harmed by her decision, very few people would care what she chooses. But the baby may live or die based on her decision. Indeed it is approximately 100 times more likely for a baby to die in childbirth than for a mother to die. The rest of us have an interest in protecting that baby. It may not override the mother’s right of autonomy, but just because her decision to avoid a hospital is legally allowed does not mean that it is morally correct. The folks at Bikers Rights Online call themselves “freedom fighters” as if there were a constitutional right to sustain a traumatic brain injury and have the rest of us pay for it. Homebirth advocates like to think of themselves as freedom fighters, too, explicitly adopting the language of abortion rights activists and insisting that they have a “right to choose.” They do have a right to choose, but what they’re choosing is very similar to riding a motorcycle without a helmet … except in their case, it’s usually the baby who sustains the brain injury, not the person who made the choice.